As freedom camping is 100% legal in New Zealand, you can hire a comfortable and fully-equipped campervan to explore South Island at your own site. Some reliable campervan rental South Island companies like Camperco also provides campervans to explore Nelson, Picton, Christchurch and Queensland. Unlike other campervan rental companies, Camperco does not ask customers for a bond to cover the liability of any damages caused to the motorhome. The company further allows visitors to choose flexible pick up and drop off locations, while providing free insurance and unlimited mileage. So you can hire a motorhome from Camperco to explore the popular tourist destinations and remote beauty spots in South Island without any restriction. However, it is also important for you to return the campervan in the most appropriate way. 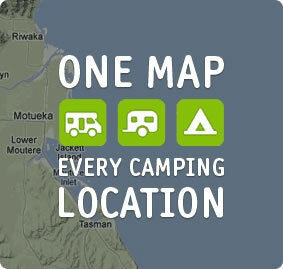 Camperco allows you to pick up the motorhome in location and drop it off at another. So it becomes easier for you to enjoy freedom camping in South Island, Nelson, Picton, Christchurch and Queensland. However, you must check the address of the depot or office in the drop off location. The information will help you in deciding where to drop the motorhome off after your road trip. For many international tourists, holiday in South Island means freedom camping. So many visitors prefer hiring campervans to explore the region at their own pace. You must remember that the motorhome needs to be cleaned and prepared by the company to go out again the same day. It is always important to return the campervan at the agreed drop off location and at the agreed time. Before returning the campervan, you need to ensure that your personal belongings are not left behind. There are always chances that you may leave behind small devices like iPod, cell phone chargers or DVDs. So you must not forget to check the cupboards, garage area and other storage before returning the campervan. It is also your social responsibility to return the campervan clean. You must not forget to empty the grey water tank and toilet cassette. Likewise, give a good sweep out to the campervan to ensure that all litter is removed. You further need to ensure that the gas is switched off, and the fuel is at the same level as when you received the motorhome.